VETTURA REALMENTE DISPONOBILE PRESSO LA NOSTRA SEDE, PER INFORMAZIONI: tel. 0296789048 Sito web: www.grecostarservice.it NESSUN OBBLIGO DI FINANZIAMENTO IL PREZZO DELLA VETTURA ESPOSTO E' REALE, SI DEVONO SOLO AGGIUNGERE LE SPESE DI IMMATRICOLAZIONE. 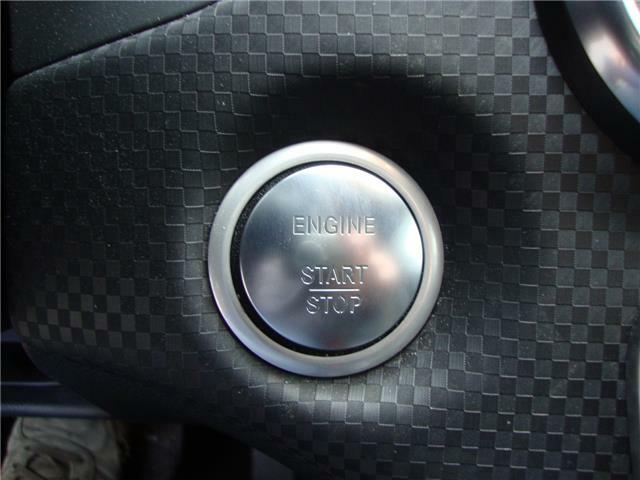 (euro 500,00) ACCESSORI: CAMBIO AUTOMATICO NAVIGATORE TOUCH BLUETOOTH CERCHI IN LEGA 15" BLACK/MIRROR SPECCHI LATERALI ELETTRICI TETTO PANORAMICO TRIDION BIANCO SEDILI RISCALDABILI INTERNO PELLE/TESSUTO CRUIS CONTROL COMANDI AL VOLANTE SERBATOIO MAGGIORATO CRUIS CONTROL LA VETTURA VIENE CONSEGNATA CON IL TAGLIANDO ESEGUITO UFFICIALE SMART. VETTURA REALMENTE DISPONOBILE PRESSO LA NOSTRA SEDE, PER INFORMAZIONI: tel. 0296789048 Sito web: www.grecostarservice.it NESSUN OBBLIGO DI FINANZIAMENTO IL PREZZO DELLA VETTURA ESPOSTO E' REALE, SI DEVONO SOLO AGGIUNGERE LE SPESE DI IMMATRICOLAZIONE. POSSIBILITA' DI ESTENSIONE GARANZIA FINO A 48 MESI UFFICIALE SMART. Accessori: CERCHI IN LEGA 15" TRIDION NERO PACK CONFORT RADIO BLUETOOTH USB LUCI DIURNE A LED AVVISATORE DI DISTANZA SERVOSTERZO CRUIS CONTROL VOLANTE MULTIFUNZIONE SEDILE REGOLABILE IN ALTEZZA SPECCHI ELETTRICI VOLANTE REGOLABILE IN ALTEZZA LA VETTURA VIENE CONSEGNATA CON IL TAGLAINDO ESEGUITO UFFICIALE SMART. 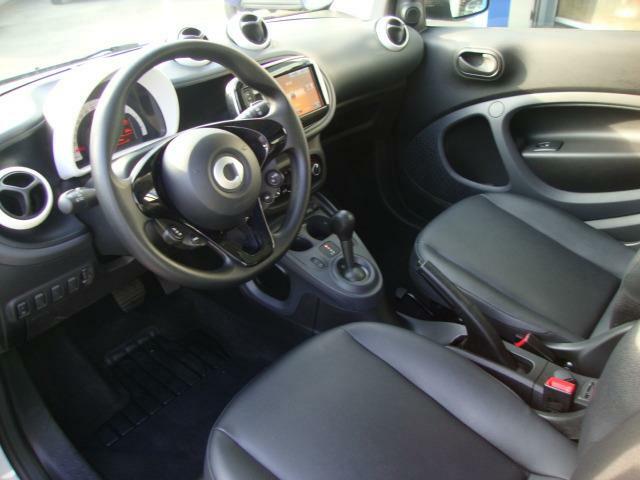 smart forTwo 70 1.0 twinamic Youngster"NAVI+CERCHI BLACKMIRROR"
IL PREZZO DELLA VETTURA ESPOSTO E' REALE, SI DEVONO SOLO AGGIUNGERE LE SPESE DI IMMATRICOLAZIONE. LA VETTURA VIENE CONSEGNATA CON IL TAGLIANDO ESEGUITO UFFICIALE SMART. VETTURA REALMENTE DISPONOBILE PRESSO LA NOSTRA SEDE, PER INFORMAZIONI: tel. 0296789048 Sito web: www.grecostarservice.it NESSUN OBBLIGO DI FINANZIAMENTO IL PREZZO DELLA VETTURA ESPOSTO E' REALE, SI DEVONO SOLO AGGIUNGERE LE SPESE DI PASSAGGIO DI PROPIETA'. 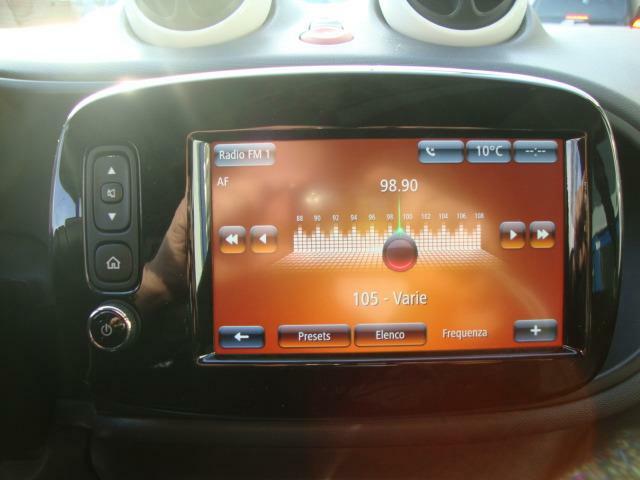 Accessori: CAMBIO AUTOMATICO PNEUMATICI 4 STAGIONI RADIO BLUETOOTH CLIAMTIZZATORE AUTOMATICO CERCHI IN LEGA 15" SERVOSTERZO CRUIS CONTROL LUCI DIURNE A LED PACK CONFORT LA VETTURA VIENE CONSEGNATA CON IL TAGLAINDO ESEGUITO UFFICIALE SMART. 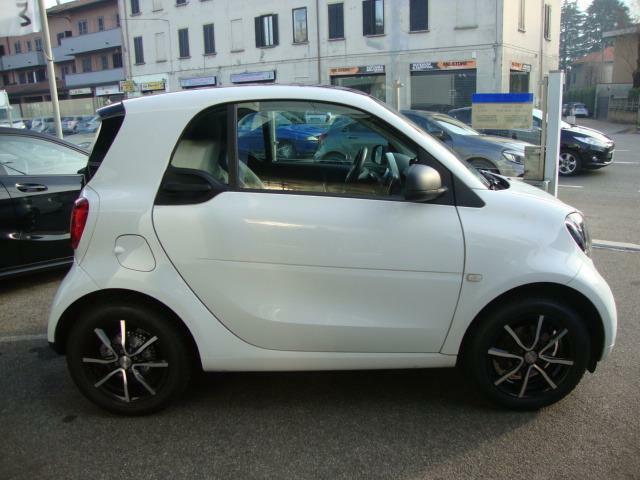 POSSIBILITA' DI ESTENSIONE GARANZIA FINO A 48 MESI UFFICIALE SMART. LA VETTURA VIENE CONSEGNATA CON IL TAGLAINDO ESEGUITO UFFICIALE SMART. 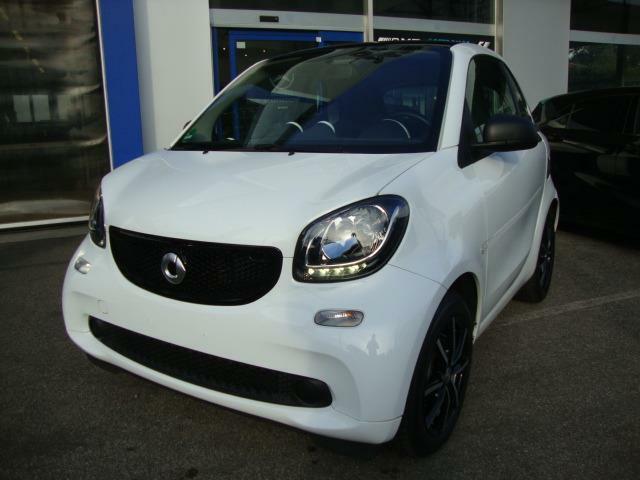 smart forFour 90 0.9 Turbo twinamic Passion PACK SPORT - FULL!!! 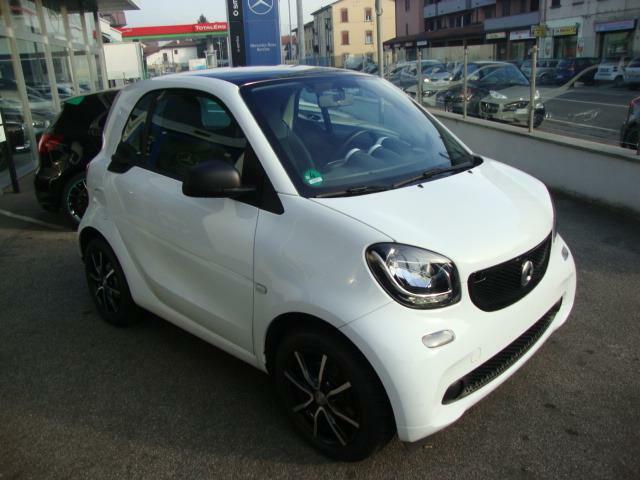 smart forFour 90 0.9 Turbo twinamic Passion PACK SPORT/FULL!!! VETTURA REALMENTE DISPONOBILE PRESSO LA NOSTRA SEDE, PER INFORMAZIONI: tel. 0296789048 Sito web: www.grecostarservice.it NESSUN OBBLIGO DI FINANZIAMENTO IL PREZZO DELLA VETTURA ESPOSTO E' REALE, SI DEVONO SOLO AGGIUNGERE LE SPESE DI IMMATRICOLAZIONE. (500,00 euro) POSSIBILITA' DI ESTENSIONE GARANZIA FINO A 48 MESI UFFICIALE MERCEDES-BENZ. Principali accessori: CAMBIO AUTOMATICO PACK SPORT CERCHI 16" SEQUENZIALE AL VOLANTE SCARICO CROMATO OROLOGIO E CONTAGIRI TRIDION ARGENTO PACK CONFORT SPECCHI ELETTRICI SEDILE REGOLABILE IN ALTEZZA VOLANTE REGOLABILE IN ALTEZZA CLIMATIZZATORE AUTOMATICO SERVOSTERZO CRUIS CONTROL RADIO BLUETOOTH USB LA VETTURA VIENE CONSEGNATA CON IL TAGLAINDO ESEGUITO UFFICIALE SMART. VETTURA REALMENTE DISPONOBILE PRESSO LA NOSTRA SEDE, PER INFORMAZIONI: tel. 0296789048 Sito web: www.grecostarservice.it NESSUN OBBLIGO DI FINANZIAMENTO IL PREZZO DELLA VETTURA ESPOSTO E' REALE, SI DEVONO SOLO AGGIUNGERE LE SPESE DI IMMATRICOLAZIONE. 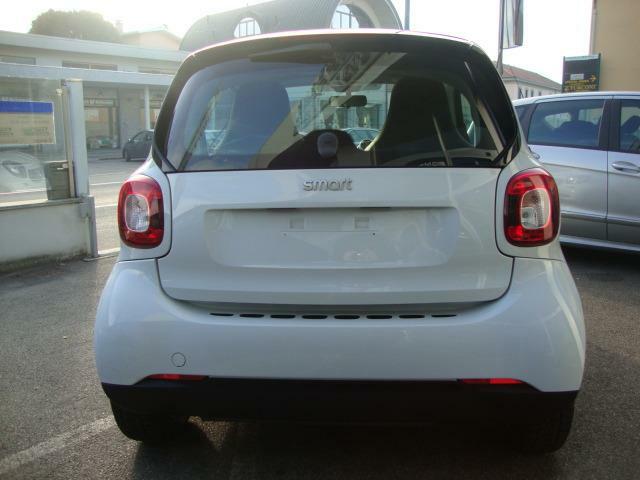 POSSIBILITA' DI ESTENSIONE GARANZIA FINO A 48 MESI UFFICIALE SMART. 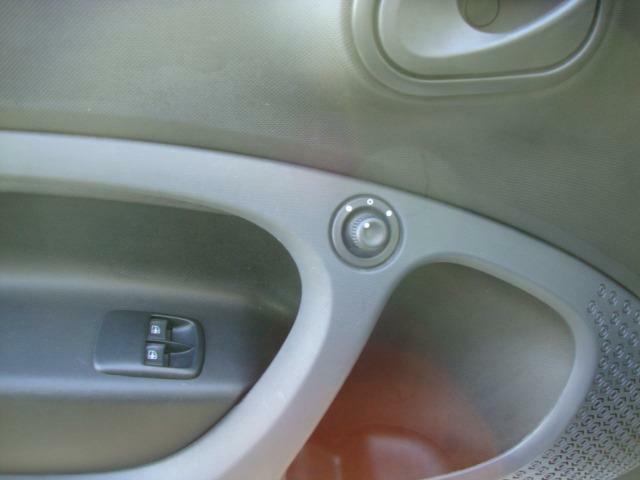 Accessori: PNEUMATICI 4 STAGIONI CAMBIO AUTOMATICO FARI LED ANT e POST TRIDION GRAY OPACO PACK CONFORT SEDILE GUIDA REGOLABILE IN ALTEZZA SPECCHI ELETTRICI VOLANTE REGOLABILE IN ALTEZZA SEDILI ANTERIORI RISCALDABILI BRACCIOLO FARI FENDINEBBIA MASCHERINA BIANCA SERVOSTERZO CRUIS CONTROL CLIMATIZZATORE AUTOMATICO VOLANTE MULTIFUNZIONE TETTO PANORAMICO LA VETTURA VIENE CONSEGNATA CON IL TAGLAINDO ESEGUITO UFFICIALE SMART. VETTURA REALMENTE DISPONOBILE PRESSO LA NOSTRA SEDE, PER INFORMAZIONI: tel. 0296789048 Sito web: www.grecostarservice.it NESSUN OBBLIGO DI FINANZIAMENTO IL PREZZO DELLA VETTURA ESPOSTO E' REALE, SI DEVONO SOLO AGGIUNGERE LE SPESE DI IMMATRICOLAZIONE. ( 500,00 euro) POSSIBILITA' DI ESTENSIONE GARANZIA FINO A 48 MESI UFFICIALE SMART. Accessori: CAMBIO AUTOMATICO FARI LED ANT e POST TETTO PANORAMICO PACK CONFORT SEDILI ANTERIORI RISCALDABILI CERCHI 15" BLACK/MIRROR BRACCIOLO PACK OGGETTI SERBATOIO MAGGIORATO RADIO BLUETOOTH USB FARI FENDINEBBIA SERVOSTERZO CRUIS CONTROL CLIMATIZZATORE AUTOMATICO LA VETTURA VIENE CONSEGNATA CON IL TAGLIANDO ESEGUITO UFFICIALE SMART. VETTURA REALMENTE DISPONOBILE PRESSO LA NOSTRA SEDE, PER INFORMAZIONI: tel. 0296789048 Sito web: www.grecostarservice.it NESSUN OBBLIGO DI FINANZIAMENTO IL PREZZO DELLA VETTURA ESPOSTO E' REALE, SI DEVONO SOLO AGGIUNGERE LE SPESE DI IMMATRICOLAZIONE. (500,00 euro) POSSIBILITA' DI ESTENSIONE GARANZIA FINO A 48 MESI UFFICIALE MERCEDES-BENZ. 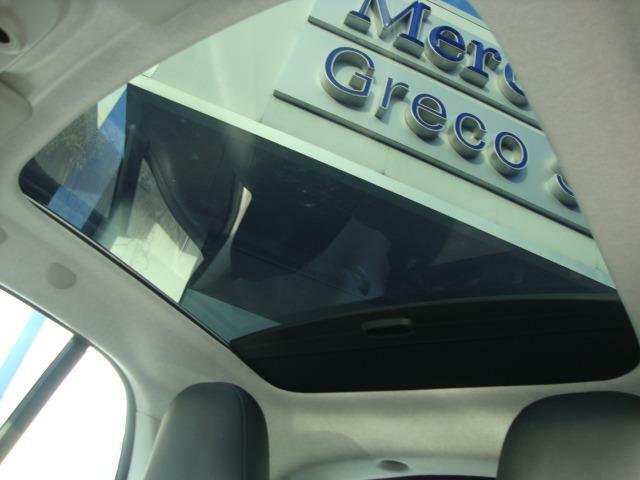 Principali accessori: METALLIZZATO GRAY TRIDION GRAY CAMBIO AUTOMATICO PACK SPORT CERCHI 16" SEQUENZIALE AL VOLANTE SCARICO CROMATO OROLOGIO E CONTAGIRI PACK CONFORT SPECCHI ELETTRICI SEDILE REGOLABILE IN ALTEZZA VOLANTE REGOLABILE IN ALTEZZA CLIMATIZZATORE AUTOMATICO SERVOSTERZO CRUIS CONTROL RADIO BLUETOOTH USB LA VETTURA VIENE CONSEGNATA CON IL TAGLAINDO ESEGUITO UFFICIALE SMART. 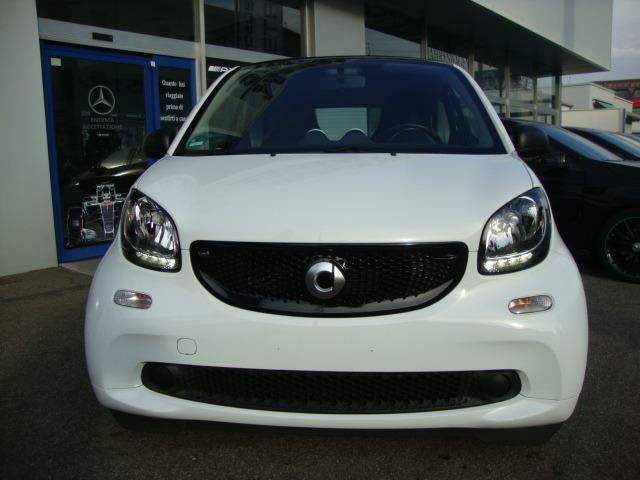 smart forFour 90 0.9 Turbo twinamic Passion PACK SPORT FULL!!! VETTURA REALMENTE DISPONOBILE PRESSO LA NOSTRA SEDE, PER INFORMAZIONI: tel. 0296789048 Sito web: www.grecostarservice.it NESSUN OBBLIGO DI FINANZIAMENTO IL PREZZO DELLA VETTURA ESPOSTO E' REALE, SI DEVONO SOLO AGGIUNGERE LE SPESE DI IMMATRICOLAZIONE. (500,00 euro) POSSIBILITA' DI ESTENSIONE GARANZIA FINO A 48 MESI UFFICIALE MERCEDES-BENZ. Principali accessori: METALLIZZATO RED METALLIC CAMBIO AUTOMATICO PACK SPORT CERCHI 16" SEQUENZIALE AL VOLANTE SCARICO CROMATO TRIDION NERO PACK CONFORT SPECCHI ELETTRICI SEDILE REGOLABILE IN ALTEZZA VOLANTE REGOLABILE IN ALTEZZA CLIMATIZZATORE AUTOMATICO SERVOSTERZO CRUIS CONTROL RADIO BLUETOOTH USB LA VETTURA VIENE CONSEGNATA CON IL TAGLAINDO ESEGUITO UFFICIALE SMART. VETTURA REALMENTE DISPONOBILE PRESSO LA NOSTRA SEDE, PER INFORMAZIONI: tel. 0296789048 Sito web: www.grecostarservice.it NESSUN OBBLIGO DI FINANZIAMENTO IL PREZZO DELLA VETTURA ESPOSTO E' REALE, SI DEVONO SOLO AGGIUNGERE LE SPESE DI IMMATRICOLAZIONE. (500,00 euro) POSSIBILITA' DI ESTENSIONE GARANZIA FINO A 48 MESI UFFICIALE MERCEDES-BENZ. Principali accessori: CAMBIO AUTOMATICO SPOILER ANTERIORE BRABUS SPOILER POSTERIORE BRABUS PACK BRABUS CERCHI 17" SEQUENZIALE AL VOLANTE SCARICO CROMATO TRIDION ARGENTO LEVA FRENO A MANO BRABUS LEVA CAMBIO BRABUS PACK CONFORT SPECCHI ELETTRICI SEDILE REGOLABILE IN ALTEZZA VOLANTE REGOLABILE IN ALTEZZA OROLOGIO E CONTAGIRI CLIMATIZZATORE AUTOMATICO SERVOSTERZO CRUIS CONTROL RADIO BLUETOOTH USB LA VETTURA VIENE CONSEGNATA CON IL TAGLAINDO ESEGUITO UFFICIALE SMART. VETTURA REALMENTE DISPONOBILE PRESSO LA NOSTRA SEDE, PER INFORMAZIONI: tel. 0296789048 Sito web: www.grecostarservice.it NESSUN OBBLIGO DI FINANZIAMENTO IL PREZZO DELLA VETTURA ESPOSTO E' REALE, SI DEVONO SOLO AGGIUNGERE LE SPESE DI IMMATRICOLAZIONE. (500,00 euro) POSSIBILITA' DI ESTENSIONE GARANZIA FINO A 48 MESI UFFICIALE MERCEDES-BENZ. Principali accessori: METALLIZZATO RED CAMBIO AUTOMATICO SPOILER ANTERIORE BRABUS SPOILER POSTERIORE BRABUS PACK BRABUS CERCHI 17" SEQUENZIALE AL VOLANTE SCARICO CROMATO TRIDION ARGENTO LEVA FRENO A MANO BRABUS LEVA CAMBIO BRABUS PACK CONFORT SPECCHI ELETTRICI SEDILE REGOLABILE IN ALTEZZA VOLANTE REGOLABILE IN ALTEZZA OROLOGIO E CONTAGIRI CLIMATIZZATORE AUTOMATICO SERVOSTERZO CRUIS CONTROL RADIO BLUETOOTH USB LA VETTURA VIENE CONSEGNATA CON IL TAGLAINDO ESEGUITO UFFICIALE SMART. 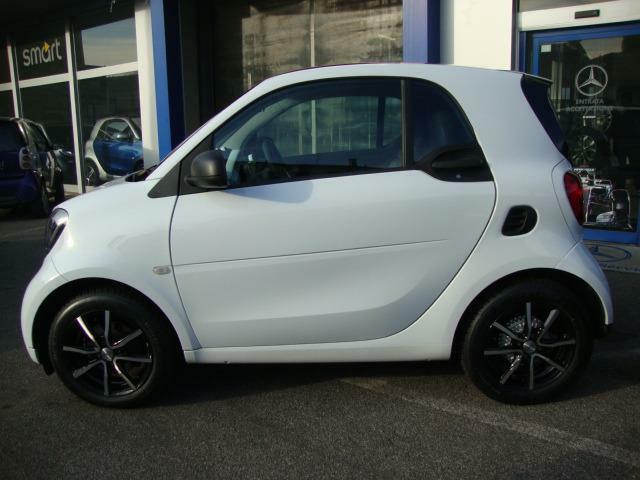 smart forTwo 90 0.9 Turbo twinamic Passion PACK SPORT - FULL!!! LA VETTURA VIENE CONSEGNATA CON IL TAGLIANDO ESEGUITO UFFICIALE MERCEDES-BENZ. 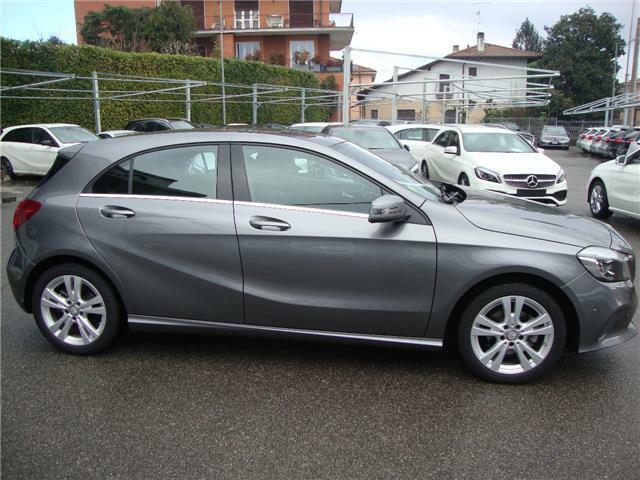 Mercedes-Benz A 180 CDI Executive Style "CERCHI 17+NAVIAGTORE+PARKING"
Mercedes-Benz A 180 Executive Style NAVI/PARK "VERA OCCASIONE"
VETTURA REALMENTE DISPONOBILE PRESSO LA NOSTRA SEDE, PER INFORMAZIONI: tel. 0296789048 Sito web: www.grecostarservice.it NESSUN OBBLIGO DI FINANZIAMENTO IL PREZZO DELLA VETTURA ESPOSTO E' REALE, SI DEVONO SOLO AGGIUNGERE LE SPESE DI IMMATRICOLAZIONE. POSSIBILITA' DI ESTENSIONE GARANZIA FINO A 48 MESI UFFICAILE MERCEDES-BENZ. 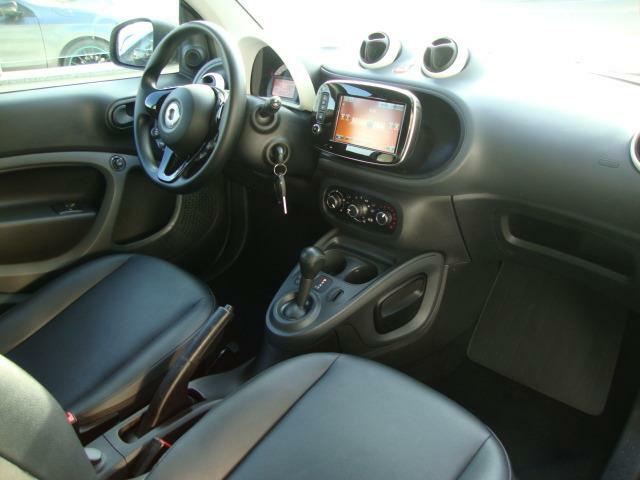 Accessori: PACK STYLE CERCHI 16" NAVIGATORE PARKING PILOT SEDILI ANTERIORI RISCALDABILI LIGHT e SIGHT PACK MIRROR PACKAGE (specchi retrattili) VETRI POSTERIORI OSCURATI VOLANTE E LEVA CAMBIO IN PELLE SCHERMO RADIO 8 POLLICI REMOTE ONLINE IMPIANTO TERGIVETRO TERMICO KEY LESS START (accensione senza chiave) LA VETTURA VIENE CONSEGNATA CON IL TAGLIANDO ESEGUITO UFFICIALE MERCEDES-BENZ. LA VETTURA VIENE CONSEGNATA CON IL TAGLAINDO ESEGUITO UFFICIALE MERCEDES-BENZ. 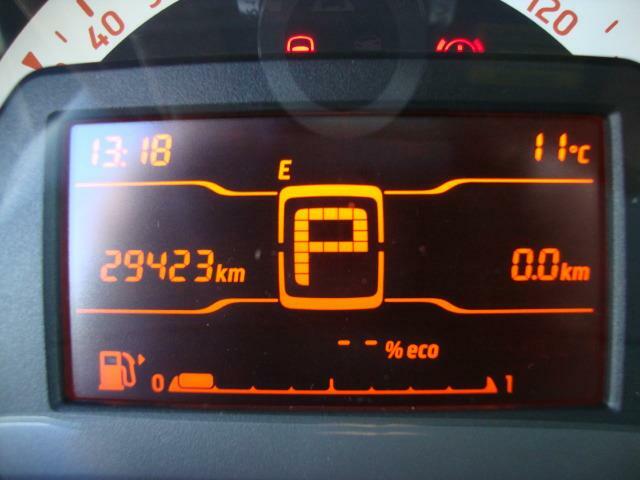 Mercedes-Benz A 180 Sport NAVI/PARK/VISIONE CAMBIO CORSIA/FULL!!! VETTURA REALMENTE DISPONOBILE PRESSO LA NOSTRA SEDE, PER INFORMAZIONI: tel. 0296789048 Sito web: www.grecostarservice.it NESSUN OBBLIGO DI FINANZIAMENTO IL PREZZO DELLA VETTURA ESPOSTO E' REALE, SI DEVONO SOLO AGGIUNGERE LE SPESE DI IMMATRICOLAZIONE. (800 euro) POSSIBILITA' DI ESTENSIONE GARANZIA FINO A 48 MESI UFFICIALE MERCEDES-BENZ. Accessori: METALLIZZATO NAVIGATORE PARKING PILOT SEDILI ANTERIORI RISCALDABILI BLIND SPOT ASSIST (visione angolo morto) LIGHT e SIGHT PACK (pacchetto luci abitacolo) CERCHI 17" SCHERMO RADIO 8 POLLICI REMOTE ONLINE IMPIATO TERGIVETRO TERMICO TEMPOMAT (cruis control) KEY LESS START (accensione senza chiave) SOGLIE INGRESSO ILLUMINATE LA VETTURA VIENE CONSEGNATA CON IL TAGLAINDO ESEGUITO UFFICIALE MERCEDES-BENZ. VETTURA REALMENTE DISPONOBILE PRESSO LA NOSTRA SEDE, PER INFORMAZIONI: tel. 0296789048 Sito web: www.grecostarservice.it NESSUN OBBLIGO DI FINANZIAMENTO IL PREZZO DELLA VETTURA ESPOSTO E' REALE, SI DEVONO SOLO AGGIUNGERE LE SPESE DI IMMATRICOLAZIONE. Accessori: CAMBIO AUTOMATICO 7G-TRONIK METALLIZZATO FARI LED HIGHT PERFORMANCE PARKING PILOT TELECAMERA POSTERIORE NAVIGATORE MIRROR PACKAGE (specchi retrattili e antiabbaglianti) PACK INTEGRAZIONE SMARTPHONE KEY LESS START (accensione senza chiave) SEDILI ANTERIORI RISCALDABILI LIGHT e SIGHT PACK PNEUMATICI ANTISCOPPIO REMOTE ONLINE IMPIANTO TERGIVETRO TERMICO DYNAMIC SELECT LA VETTURA VIENE CONSEGNATA CON IL TAGLIANDO ESEGUITO UFFICIALE MERCEDES-BENZ. Mercedes-Benz B 180 Sport LED/NAVI/PARKING/FULL-OPTIONAL!!! VETTURA REALMENTE DISPONOBILE PRESSO LA NOSTRA SEDE, PER INFORMAZIONI: tel. 0296789048 Sito web: www.grecostarservice.it NESSUN OBBLIGO DI FINANZIAMENTO IL PREZZO DELLA VETTURA ESPOSTO E' REALE, SI DEVONO SOLO AGGIUNGERE LE SPESE DI IMMATRICOLAZIONE. (800 euro) POSSIBILITA' DI ESTENSIONE GARANZIA FINO A 48 MESI UFFICIALE MERCEDES-BENZ. 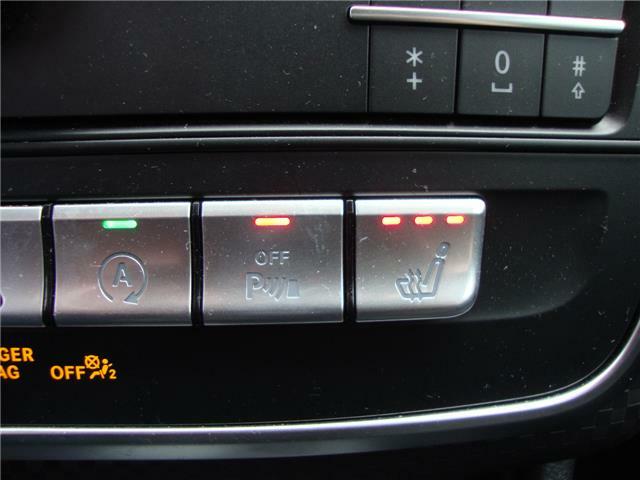 Accessori: FARI LED HIGHT PERFORMANCE NAVIGATORE PARKING PILOT SEDILI ANTERIORI RISCALDABILI LIGHT e SIGHT PACK SISTEMA ABBAGLIANTI ADATTIVI SCHERMO RADIO 8 POLLICI REMOTE ONLINE IMPIANTO TERGIVETRO TERMICO SPEGNIMENTO AUTOMATICO AIRBAG PASSEGGERO KEY LESS START (accensione senza chiave) TEMPOMAT (cruis control) PACK BAGAGLI CERCHI 17" LA VETTURA VIENE CONSEGNATA CON IL TAGLIANDO ESEGUITO UFFICIALE MERCEDES-BENZ. Mercedes-Benz B 180 d Automatic Sport TELECAMERA/LED/NAVI/FULL!!! VETTURA REALMENTE DISPONOBILE PRESSO LA NOSTRA SEDE, PER INFORMAZIONI: tel. 0296789048 Sito web: www.grecostarservice.it NESSUN OBBLIGO DI FINANZIAMENTO IL PREZZO DELLA VETTURA ESPOSTO E' REALE, SI DEVONO SOLO AGGIUNGERE LE SPESE DI IMMATRICOLAZIONE. (800,00 euro) POSSIBILITA' DI ESTENSIONE GARANZIA FINO A 48 MESI UFFICIALE MERCEDES-BENZ. Accessori: CAMBIO AUTOMATICO 7G-TRONIK FARI LED HIGHT PERFORMANCE TELECAMERA POSTERIORE NAVIGATORE MIRROR PACKAGE VETRI POSTERIORI OSCURATI KEY LESS START (accensione senza chiave) PACK CONFORT TEMPOMAT (cruis control) CERCHI 17" PACK CROMATURE ESTERNE LA VETTURA VIENE CONSEGNATA CON IL TAGLIANDO ESEGUITO UFFICIALE MERCEDES-BENZ. VETTURA REALMENTE DISPONOBILE PRESSO LA NOSTRA SEDE, PER INFORMAZIONI: tel. 0296789048 Sito web: www.grecostarservice.it NESSUN OBBLIGO DI FINANZIAMENTO IL PREZZO DELLA VETTURA ESPOSTO E' REALE, SI DEVONO SOLO AGGIUNGERE LE SPESE DI IMMATRICOLAZIONE. (800,00 euro) POSSIBILITA' DI ESTENSIONE GARANZIA FINO A 48 MESI UFFICIALE MERCEDES-BENZ. Accessori: CAMBIO AUTOMATICO 7G-TRONIK FARI LED HIGHT PERFORMANCE TELECAMERA POSTERIORE NAVIGATORE MIRROR PACKAGE CLIMATIZZATORE AUTOMATICO BI-ZONA KEY LESS START (accensione senza chiave) PACK CONFORT TEMPOMAT (cruis control) CERCHI 17" PACK CROMATURE ESTERNE LA VETTURA VIENE CONSEGNATA CON IL TAGLIANDO ESEGUITO UFFICIALE MERCEDES-BENZ. 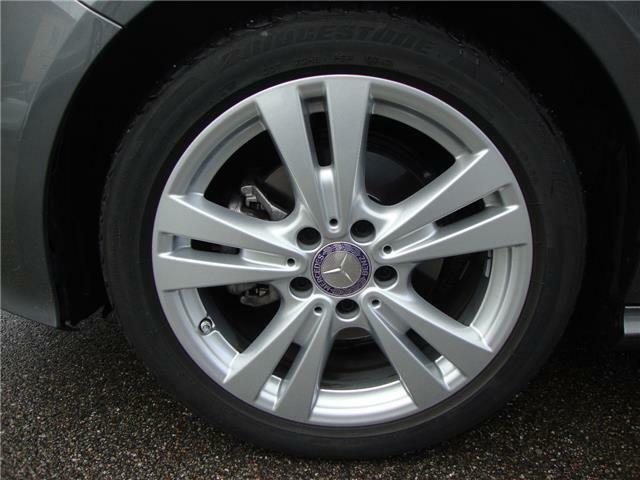 Mercedes-Benz A 180 Sport PACK NIGHT CERCHI 18"/NAVI/PARK/FULL!!! VETTURA REALMENTE DISPONOBILE PRESSO LA NOSTRA SEDE, PER INFORMAZIONI: tel. 0296789048 Sito web: www.grecostarservice.it NESSUN OBBLIGO DI FINANZIAMENTO IL PREZZO DELLA VETTURA ESPOSTO E' REALE, SI DEVONO SOLO AGGIUNGERE LE SPESE DI IMMATRICOLAZIONE. (800 euro) POSSIBILITA' DI ESTENSIONE GARANZIA FINO A 48 MESI UFFICIALE MERCEDES-BENZ. Accessori: PACK NIGHT CERCHI 18" NERI/DIAMANTATI VETRI OSCURATI NAVIGATORE PARKING PILOT SEDILI ANTERIORI RISCALDABILI LIGHT e SIGHT PACK (pacchetto luci abitacolo) SCHERMO RADIO 8 POLLICI REMOTE ONLINE KEY LESS START (accensione senza chiave) TEMPOMAT (cruis control) IMPIATO TERGIVETRO TERMICO SOGLIE INGRESSO ILLUMINATE ECO START STOP NERO COSMO METALLIZZATO LA VETTURA VIENE CONSEGNATA CON IL TAGLIANDO ESEGUITO UFFICIALE MERCEDES-BENZ. Mercedes-Benz C 200 d Executive Automatic NAVI/PARKING/CERCHI 17"
IL PREZZO DELLA VETTURA ESPOSTO E' REALE, SI DEVONO SOLO AGGIUNGERE LE SPESE DI TRAPASSO. Mercedes-Benz B 180 Sport TETTO APRIBILE/LED/NAVI/PARK/FULL-OPTIONAL!! VETTURA REALMENTE DISPONOBILE PRESSO LA NOSTRA SEDE, PER INFORMAZIONI: tel. 0296789048 Sito web: www.grecostarservice.it NESSUN OBBLIGO DI FINANZIAMENTO IL PREZZO DELLA VETTURA ESPOSTO E' REALE, SI DEVONO SOLO AGGIUNGERE LE SPESE DI IMMATRICOLAZIONE. (800 euro) POSSIBILITA' DI ESTENSIONE GARANZIA FINO A 48 MESI UFFICIALE MERCEDES-BENZ. Accessori: TETTO APRIBILE PANORAMICO FARI LED HIGHT PERFORMANCE NAVIGATORE PARKING PILOT SEDILI ANTERIORI RISCALDABILI LIGHT e SIGHT PACK SISTEMA ABBAGLIANTI ADATTIVI SCHERMO RADIO 8 POLLICI REMOTE ONLINE IMPIANTO TERGIVETRO TERMICO SPEGNIMENTO AUTOMATICO AIRBAG PASSEGGERO KEY LESS START (accensione senza chiave) TEMPOMAT (cruis control) PACK BAGAGLI CERCHI 17" LA VETTURA VIENE CONSEGNATA CON IL TAGLIANDO ESEGUITO UFFICIALE MERCEDES-BENZ. VETTURA REALMENTE DISPONOBILE PRESSO LA NOSTRA SEDE, PER INFORMAZIONI: tel. 0296789048 Sito web: www.grecostarservice.it NESSUN OBBLIGO DI FINANZIAMENTO IL PREZZO DELLA VETTURA ESPOSTO E' REALE, SI DEVONO SOLO AGGIUNGERE LE SPESE DI IMMATRICOLAZIONE. POSSIBILITA' DI ESTENSIONE GARANZIA FINO A 48 MESI UFFICIALE MERCEDES-BENZ. Accessori: CAMBIO AUTOMATICO 7G-TRONIK FARI LED HIGHT PERFORMANCE PARKING PILOT TELECAMERA POSTERIORE NAVIGATORE GARMIN MAP PILOT KEY LESS START (accensione senza chiave) MIRROR PACKAGE (specchi retrattili) PACCHETTO INTEGRAZIONE SMARTPHONE SEDILI RISCALDABILI LIGHT e SIGHT PACK (pacchetto luci abitacolo) PNEUMATICI ANTISCOPPIO REMOTE ONLINE IMPIATO TERGIVETRO TERMICO CERCHI 17" DYNAMIC SELECT START e STOP LA VETTURA VIENE CONSEGNATA CON IL TAGLIANDO ESEGUITO UFFICIALE MERCEDES-BENZ. VETTURA REALMENTE DISPONOBILE PRESSO LA NOSTRA SEDE, PER INFORMAZIONI: tel. 0296789048 Sito web: www.grecostarservice.it NESSUN OBBLIGO DI FINANZIAMENTO IL PREZZO DELLA VETTURA ESPOSTO E' REALE, SI DEVONO SOLO AGGIUNGERE LE SPESE DI IMMATRICOLAZIONE. POSSIBILITA' DI ESTENSIONE GARANZIA FINO A 48 MESI UFFICAILE MERCEDES-BENZ. Accessori: CAMBIO AUTOMATICO 7G-TRONIK FARI LED HIGHT PERFORMANCE NAVIGATORE PARKING PILOT SEDILI ANTERIORI RISCALDABILI LIGHT e SIGHT PACK SOGLIE INGRESSO ILLUMINATE KEY LESS START (accensione senza chiave) REMOTE ONLINE IMPIATO TERGIVETRO TERMICO SEDILI POSTERIORI SDOPPIATI PACK CONFORT METALLIZZATO NERO COSMO LA VETTURA VIENE CONSEGNATA CON IL TAGLAINDO ESEGUITO UFFICIALE MERCEDES-BENZ. Mercedes-Benz A 180 d Automatic Sport "VERA OCCASIONE"
POSSIBILITA' DI ESTENSIONE GARANZIA FINO A 48 MESI UFFICIALE MERCEDES-BENZ. Mercedes-Benz B 180 d Premium AMG LINE "SUPER OCCASIONE -VERO AFFARE"
Mercedes-Benz A 180 Premium AMG LINE LED/NAVI/PACK-NIGHT/FULL!!! VETTURA REALMENTE DISPONOBILE PRESSO LA NOSTRA SEDE, PER INFORMAZIONI: tel. 0296789048 Sito web: www.grecostarservice.it NESSUN OBBLIGO DI FINANZIAMENTO IL PREZZO DELLA VETTURA ESPOSTO E' REALE, SI DEVONO SOLO AGGIUNGERE LE SPESE DI IMMATRICOLAZIONE. (800,00 euro) POSSIBILITA' DI ESTENSIONE GARANZIA FINO A 48 MESI UFFICIALE MERCEDES-BENZ. Accessori: AMG LINE FARI LED HIGHT PERFORMANCE NAVIGATORE PARKING PILOT PACK NIGHT VETRI OSCURATI CROMATURE NERE CERCHI 18" AMG NERI SEDILI ANTERIORI RISCALDABILI LIGHT e SIGHT PACK (pacchetto luci abitacolo) SCHERMO RADIO 8 POLLICI REMOTE ONLINE AMG DYNAMIC SELECT KEY LESS START (accensione senza chiave) TEMPOMAT (cruis control) LA VETTURA VIENE CONSEGNATA CON IL TAGLIANDO ESEGUITO UFFICIALE MERCEDES-BENZ. 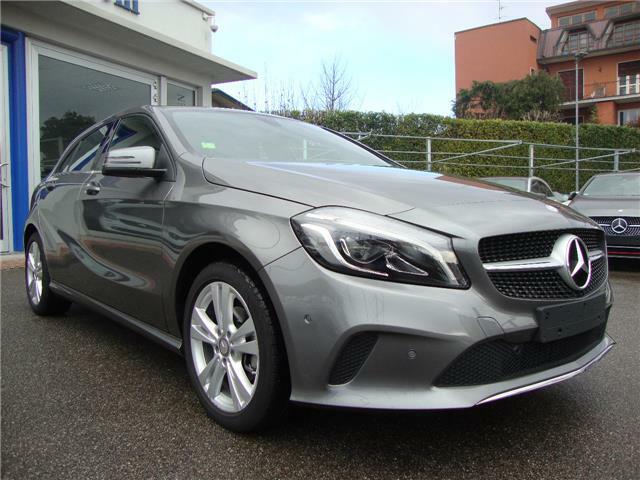 Mercedes-Benz A 180 d Sport "VERA OCCASIONE - PACK NIGHT - CERCHI 18"
VETTURA REALMENTE DISPONOBILE PRESSO LA NOSTRA SEDE, PER INFORMAZIONI: tel. 0296789048 Sito web: www.grecostarservice.it NESSUN OBBLIGO DI FINANZIAMENTO IL PREZZO DELLA VETTURA ESPOSTO E' REALE, SI DEVONO SOLO AGGIUNGERE LE SPESE DI IMMATRICOLAZIONE. (800,00 euro) POSSIBILITA' DI ESTENSIONE GARANZIA FINO A 48 MESI UFFICIALE MERCEDES-BENZ. Accessori: PACK SPORT FARI LED HIGHT PERFORMANCE PARKING PILOT NAVIGATORE AUDIO 20 CD E BLUETOOTH LIGHT & SIGHT PACK MIRROR PACKAGE (specchi retrattili) SEDILI ANTERIORI RISCALDABILI SISTEMA ABBAGLIANTI ADATTIVI SCHERMO RADIO 8 POLLICI REMOTE ONLINE CERCHI 18" IMPIATO TERGIVETRO TERMICO TEMPOMAT (cruis control) KEY LESS START (accensione senza chiave) LA VETTURA VIENE CONSEGNATA CON IL TAGLIANDO ESEGUITO UFFICIALE MERCEDES-BENZ. VETTURA REALMENTE DISPONOBILE PRESSO LA NOSTRA SEDE, PER INFORMAZIONI: tel. 0296789048 Sito web: www.grecostarservice.it NESSUN OBBLIGO DI FINANZIAMENTO IL PREZZO DELLA VETTURA ESPOSTO E' REALE, SI DEVONO SOLO AGGIUNGERE LE SPESE DI IMMATRICOLAZIONE. POSSIBILTA' DI ESTENSIONE GARANZIA FINO A 48 MESI UFFICIALE MERCEDES-BENZ. Accessori: CAMBIO AUTOMATICO 7G-TRONIK METALLIZZATO NAVIGATORE GARMIN MAP PILOT PARKING PILOT SEDILI ANTERIORI RISCALDABILI SEDILE LATO GUIDA CON REGOLAZIONE ELETTRICA + MEMORIA LIGHT e SIGHT PACK MIRROR PACKAGE (specchi retrattili e antiabbaglianti) KEY LESS START (accensione senza chiave) SCHERMO RADIO 8 POLLICI REGOLAZIONE LOMBARE SU 4 PARAMETRI REMOTE ONLINE IMPIATO TERGIVETRO TERMICO SPEGNIMENTO AUTOMATICO AIRBAG PASSEGGERO PACK BAGAGLI LA VETTURA VIENE CONSEGNATA CON IL TAGLAINDO ESEGUITO UFFICIALE MERCEDES-BENZ. Mercedes-Benz GLA 180 Sport NAVI/PARKING/LED/FULL-OPTIONAL!! VETTURA REALMENTE DISPONOBILE PRESSO LA NOSTRA SEDE, PER INFORMAZIONI: tel. 0296789048 Sito web: www.grecostarservice.it NESSUN OBBLIGO DI FINANZIAMENTO IL PREZZO DELLA VETTURA ESPOSTO E' REALE, SI DEVONO SOLO AGGIUNGERE LE SPESE DI IMMATRICOLAZIONE. (euro 800,00) POSSIBILITA' DI ESTENSIONE GARANZIA FINO A 48 MESI UFFICIALE MERCEDES-BENZ. Accessori: METALLIZZATO NERO COSMO PACK SPORT NAVIGATORE PARKING PILOT FARI LED HIGHT PERFORMANCE SEDILI ANTERIORI RISCALDABILI PACK LUCI ABITACOLO SCHERMO RADIO 8 POLLICI KEY LESS START (accensione senza chiave) TEMPOMAT (cruis control) REMOTE ONLINE PACK BAGAGLI IMPIANTO TERGIVETRO TERMICO SISTEMA ABBAGLIANTI ADATTIVI LA VETTURA VIENE CONSEGNATA CON IL TAGLAINDO ESEGUITO UFFICIALE MERCEDES-BENZ. 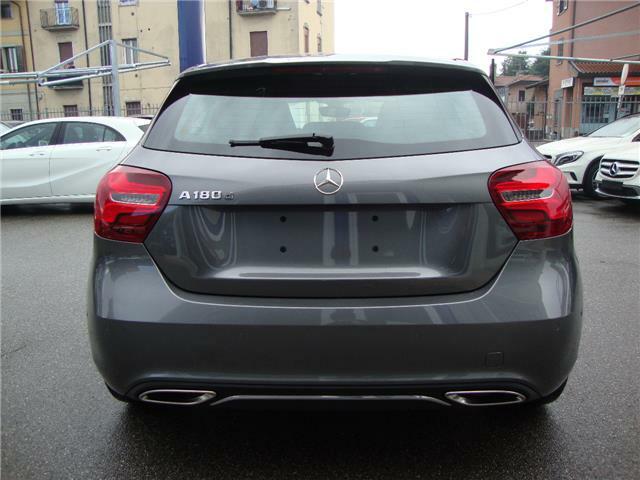 Mercedes-Benz A 180 Premium AMG LINE TETTO/LED/TELECAMERA/FULL!!! VETTURA REALMENTE DISPONOBILE PRESSO LA NOSTRA SEDE, PER INFORMAZIONI: tel. 0296789048 Sito web: www.grecostarservice.it NESSUN OBBLIGO DI FINANZIAMENTO IL PREZZO DELLA VETTURA ESPOSTO E' REALE, SI DEVONO SOLO AGGIUNGERE LE SPESE DI IMMATRICOLAZIONE. POSSIBILITA' DI ESTENSIONE GARANZIA FINO A 48 MESI UFFICIALE MERCEDES-BENZ. Accessori: FARI LED HIGHT PERFORMANCE NAVIGATORE PARKING PILOT SEDILI ANTERIORI RISCALDABILI BLIND SPOT ASSIST (visione angolo morto) LIGHT e SIGHT PACK MIRROR PACKAGE (specchi retrattili) SCHERMO RADIO 8 POLLICI REMOTE ONLINE PACK BAGAGLI IMPIATO TERGIVETRO TERMICO SISTEMA ABBAGLIANTI ADATTIVI KEY LESS START (accensione senza chiave) TEMPOMAT (crusis control) LA VETTURA VIENE CONSEGNATA CON IL TAGLIANDO ESEGUITO UFFICIALE MERCEDES-BENZ. Mercedes-Benz A 180 Premium AMG LINE Tetto apribile/Led/Navi/Full!! VETTURA REALMENTE DISPONOBILE PRESSO LA NOSTRA SEDE, PER INFORMAZIONI: tel. 0296789048 Sito web: www.grecostarservice.it NESSUN OBBLIGO DI FINANZIAMENTO IL PREZZO DELLA VETTURA ESPOSTO E' REALE, SI DEVONO SOLO AGGIUNGERE LE SPESE DI IMMATRICOLAZIONE. (800 euro) POSSIBILITA' DI ESTENSIONE GARANZIA FINO A 48 MESI UFFICIALE MERCEDES-BENZ. Accessori: AMG LINE TETTO APRIBILE PANORAMICO NAVIGATORE PARKING PILOT SEDILI ANTERIORI RISCALDABILI FARI LED HIGHT PERFORMANCE LIGHT e SIGHT PACK (pacchetto luci abitacolo) CERCHI IN LEGA 18" AMG MULTIRAZZE SCHERMO RADIO 8 POLLICI REMOTE ONLINE KEY LESS START (accensione senza chiave) TEMPOMAT (cruis control) IMPIATO TERGIVETRO TERMICO AMG DYNAMIC SELECT SOGLIE INGRESSO ILLUMINATE LA VETTURA VIENE CONSEGNATA CON IL TAGLAINDO ESEGUITO UFFICIALE MERCEDES-BENZ. Mercedes-Benz A 180 Premium AMG LINE "BLACK SERIES" TETTO/FULL!!! VETTURA REALMENTE DISPONOBILE PRESSO LA NOSTRA SEDE, PER INFORMAZIONI: tel. 0296789048 Sito web: www.grecostarservice.it NESSUN OBBLIGO DI FINANZIAMENTO IL PREZZO DELLA VETTURA ESPOSTO E' REALE, SI DEVONO SOLO AGGIUNGERE LE SPESE DI IMMATRICOLAZIONE. 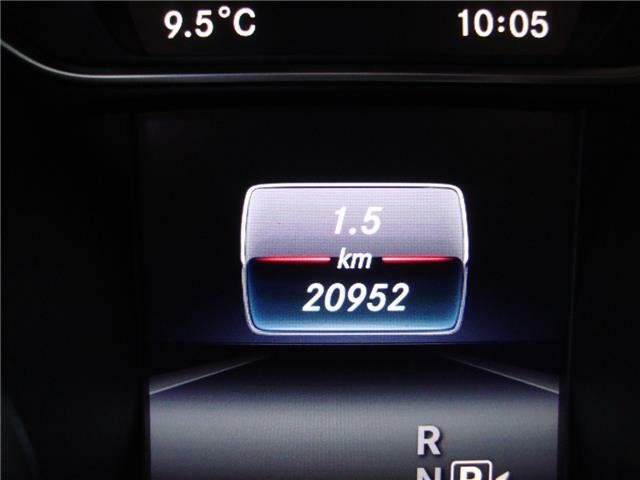 (800,00 euro) Accessori: AMG LINE TETTO APRIBILE PANORAMICO NAVIGATORE PARKING PILOT SEDILI ANTERIORI RISCALDABILI FARI LED HIGHT PERFORMANCE ADESIVO FIANCATE AMG LINE BLACK SERIES ESTETICA AMG LINE BLACK SERIES MINIGONNE AMG LINE BLACK SERIES ESTRATTORE AMG BLACK SERIES LIGHT e SIGHT PACK (pacchetto luci) CERCHI 18" AMG MULTIRAZZE MIRROR PACKAGE (specchi retrattili antiabbaglianti) VETRI POSTERIORI OSCURATI SCHERMO RADIO 8 POLLICI SUPPORTO LOMBARE SU 4 PARAMETRI IMPIATO TERGIVETRO TERMICO SPEGNIMENTO AUTOMATICO AIRBAG PASSEGGERO LA VETTURA VIENE CONSEGNATA CON IL TAGLIANDO ESEGUITO UFFICIALE MERCEDES-BENZ. Mercedes-Benz A 180 Premium Automatic AMG LINE LED/NAVI/PARKING/FULL!! IL PREZZO DELLA VETTURA ESPOSTO E' REALE, SI DEVONO SOLO AGGIUNGERE LE SPESE DI PASSAGGIO DI PROPIETA'. Mercedes-Benz B 180 Sport Automatic FARI LED/NAVI/PARKING/FULL!!! VETTURA REALMENTE DISPONOBILE PRESSO LA NOSTRA SEDE, PER INFORMAZIONI: tel. 0296789048 Sito web: www.grecostarservice.it NESSUN OBBLIGO DI FINANZIAMENTO IL PREZZO DELLA VETTURA ESPOSTO E' REALE, SI DEVONO SOLO AGGIUNGERE LE SPESE DI IMMATRICOLAZIONE. POSSIBILTA' DI ESTENSIONE GARANZIA FINO A 48 MESI UFFICIALE MERCEDES-BENZ. Accessori: CAMBIO AUTOMATICO 7G-TRONIK METALLIZZATO NERO COSMO FARI LED HIGHT PERFORMANCE NAVIGATORE GARMIN MAP PILOT PARKING PILOT SEDILI ANTERIORI RISCALDABILI LIGHT e SIGHT PACK PNEUMATICI ANTISCOPPIO SISTEMA ABBAGLIANTI ADATTIVI KEY LESS START (accensione senza chiave) SCHERMO RADIO 8 POLLICI REGOLAZIONE LOMBARE SU 4 PARAMETRI REMOTE ONLINE IMPIATO TERGIVETRO TERMICO SPEGNIMENTO AUTOMATICO AIRBAG PASSEGGERO PACK BAGAGLI LA VETTURA VIENE CONSEGNATA CON IL TAGLAINDO ESEGUITO UFFICIALE MERCEDES-BENZ. 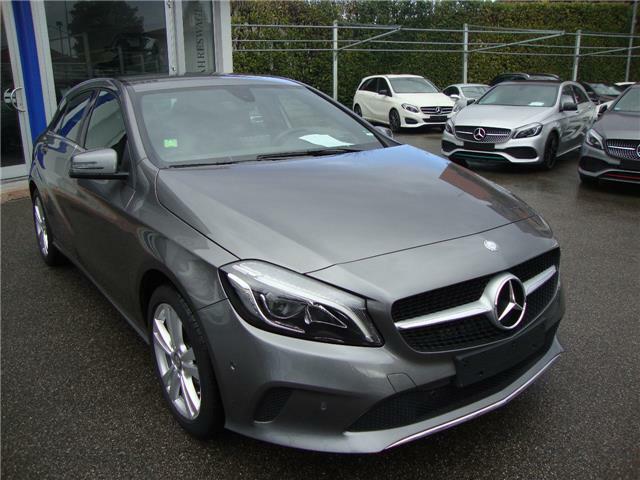 Mercedes-Benz A 180 Premium Automatic AMG LINE EDITION "FULL-OPTIONAL"
Mercedes-Benz CLA 200 d S.B. Automatic Sport LED/NAVI/TELECAMERA/FULL!! VETTURA REALMENTE DISPONOBILE PRESSO LA NOSTRA SEDE, PER INFORMAZIONI: tel. 0296789048 Sito web: www.grecostartservice.it NESSUN OBBLIGO DI FINANZIAMENTO IL PREZZO DELLA VETTURA ESPOSTO E' REALE, SI DEVONO SOLO AGGIUNGERE LE SPESE DI IMMATRICOLAZIONE. (800,00 euro) Principali accessori: METALLIZZATO GRIGIO MONTAGNA CAMBIO AUTOMATICO+TEMPOMAT NAVIGATORE PARK ASSIST TELECAMERA POSTERIORE FARI LED HIGHT PERFORMANCE PORTELLONE ELETTRICO PACK OGGETTI BRACCIOLO VANO POSTERIORE CON CARICO PASSANTE PACK LUCI MIRROR PACKAGE SCHERMO 8 POLLICI SISTEMA ABBAGLIANTI ADATTIVI PACK BAGAGLI SOGLIE INGRESSO ILLUMINATE SEDILI ANTERIORI RISCALDABILI CERCHI 18" POLLICI METALLIZZATO SEDILI REGOLABILI IN ALTEZZA LA VETTURA VIENE CONSEGNATA CON IL TAGLIANDO ESEGUITO UFFICIALE MERCEDES-BENZ. 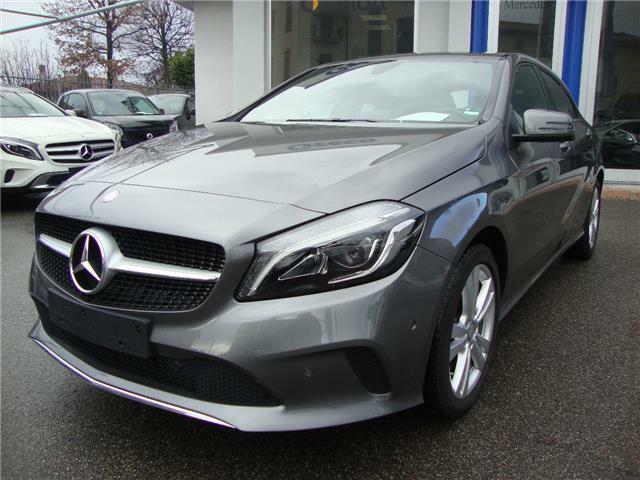 Mercedes-Benz CLA 180 Sport TETTO APRIBILE/FARI LED/CERCHI 18"
Mercedes-Benz B 180 Premium Automatic AMG LINE FULL-OPTIONAL!!! 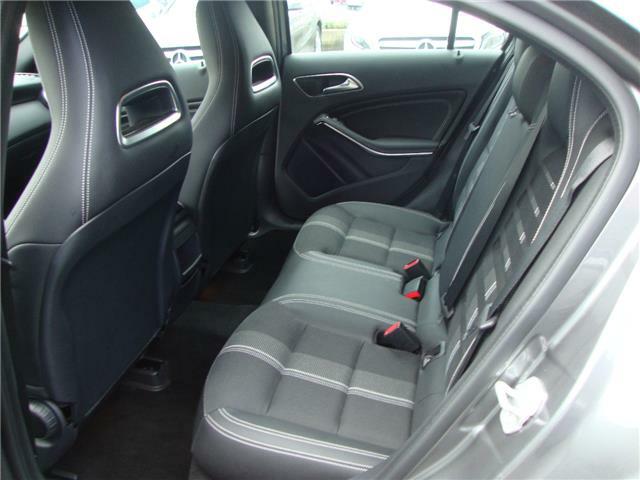 Mercedes-Benz B 180 d Automatic Premium AMG "VERA OCCASIONE"
Mercedes-Benz CLA 180 S.B. Premium Automatic AMG LINE LED/NAVI/FULL!!! VETTURA REALMENTE DISPONOBILE PRESSO LA NOSTRA SEDE, PER INFORMAZIONI: tel. 0296789048 Sito web: www.grecostarservice.it NESSUN OBBLIGO DI FINANZIAMENTO IL PREZZO DELLA VETTURA ESPOSTO E' REALE, SI DEVONO SOLO AGGIUNGERE LE SPESE DI IMMATRICOLAZIONE. (800,00 euro) POSSIBILITA' DI ESTENSIONE GARANZIA FINO A 48 MESI UFFICIALE MERCEDES-BENZ. Accessori: AMG LINE CAMBIO AUTOMATICO 7G-TRONIK FARI LED HIGHT PERFORMANCE PARKING PILOT NAVIGATORE AUDIO 20 CD E BLUETOOTH PORTELLONE POSTERIORE ELETTRICO LIGHT e SIGHT PACK MIRROR PACKAGE (specchi retrattili) KEY LESS START (accensione senza chiave) SEDILI ANTERIORI RISCALDABILI SISTEMA ABBAGLIANTI ADATTIVI SCHERMO RADIO 8 POLLICI REMOTE ONLINE PACK BAGAGLI IMPIATO TERGIVETRO TERMICO DYNAMIC SELECT LA VETTURA VIENE CONSEGNATA CON IL TAGLIANDO ESEGUITO UFFICIALE MERCEDES-BENZ. 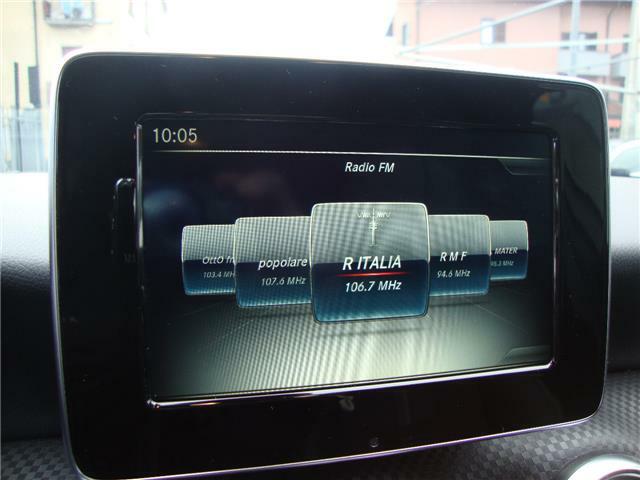 Mercedes-Benz GLA 180 Sport Automatic FARI LED/NAVI/PARKING PILOT. VETTURA REALMENTE DISPONOBILE PRESSO LA NOSTRA SEDE, PER INFORMAZIONI: tel. 0296789048 Sito web: www.grecostarservice.it NESSUN OBBLIGO DI FINANZIAMENTO IL PREZZO DELLA VETTURA ESPOSTO E' REALE, SI DEVONO SOLO AGGIUNGERE LE SPESE DI IMMATRICOLAZIONE. POSSIBILITA' DI ESTENSIONE GARANZIA FINO A 48 MESI UFFICIALE MERCEDES-BENZ. Accessori: CAMBIO AUTOMATICO 7G-TRONIK PACK SPORT FARI LED HIGHT PERFORMANCE PARK ASSIST TELECAMERA POSTERIORE NAVIGATORE MIRROR PACKAGE (specchi retrattili) LIGHT e SIGHT PACK SEDILI ANTERIORI RISCALDABILI PNEUMATICI ANTISCOPPIO REMOTE ONLINE CERCHI 18" DYNAMIC SELECT KEY LESS START (accensione senza chiave) INTERNI PELLE TOTALE CROMATURE ESTERNE LA VETTURA VIENE CONSEGNATA CON IL TAGLIANDO ESEGUITO UFFICIALE MERCEDES-BENZ. 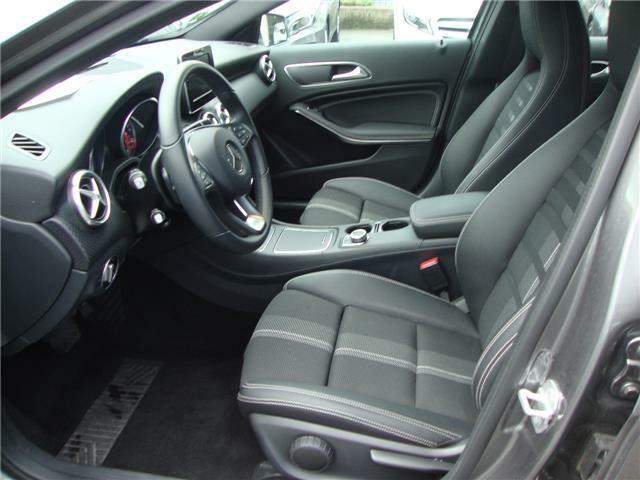 Mercedes-Benz CLA 180 Premium Automatic AMG LINE FULL-OPTIONAL!!! VETTURA REALMENTE DISPONOBILE PRESSO LA NOSTRA SEDE, PER INFORMAZIONI: tel. 0296789048 Sito web: www.grecostarservice.it NESSUN OBBLIGO DI FINANZIAMENTO IL PREZZO DELLA VETTURA ESPOSTO E' REALE, SI DEVONO SOLO AGGIUNGERE LE SPESE DI IMMATRICOLAZIONE. POSSIBILITA' DI ESTENSIONE GARANZIA FINO A 48 MESI UFFICIALE MERCEDES-BENZ. 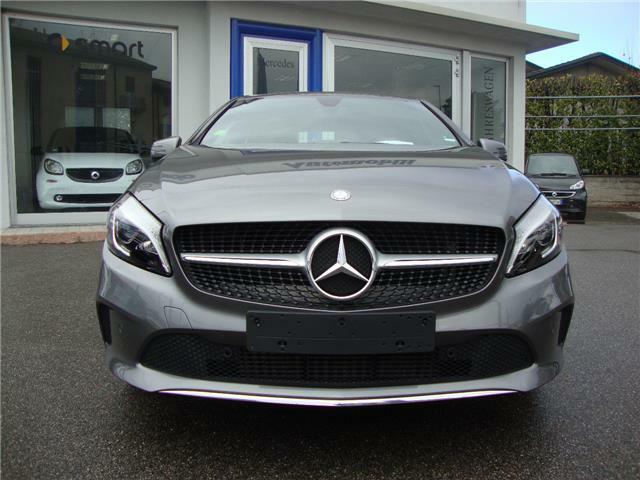 Accessori: AMG LINE CAMBIO AUTOMATICO 7G-TRONIK FARI LED HIGHT PERFORMANCE PARK ASSIST NAVIGATORE CERCHI 18" AMG AUDIO 20 CD E BLUETOOTH MIRROR PACKAGE (specchi retrattili) KEY LESS START (accensione senza chiave) SEDILI ANTERIORI RISCALDABILI SISTEMA ABBAGLIANTI ADATTIVI SCHERMO RADIO 8 POLLICCI IMPIATO TERGIVETRO TERMICO SPEGNIMENTO AUTOMATICO AIRBAG PASSEGGERO DYNAMIC SELECT LA VETTURA VIENE CONSEGNATA CON IL TAGLIANDO ESEGUITO UFFICIALE MERCEDES-BENZ. VETTURA REALMENTE DISPONOBILE PRESSO LA NOSTRA SEDE, PER INFORMAZIONI: tel. 0296789048 Sito web: www.grecostarservice.it NESSUN OBBLIGO DI FINANZIAMENTO IL PREZZO DELLA VETTURA ESPOSTO E' REALE, SI DEVONO SOLO AGGIUNGERE LE SPESE DI IMMATRICOLAZIONE. (800,00 euro) POSSIBILITA' DI ESTENSIONE GARANZIA FINO A 48 MESI UFFICIALE MERCEDES-BENZ. Accessori: AMG LINE CAMBIO AUTOMATICO 7G-TRONIK FARI LED HIGHT PERFORMANCE PARK ASSIST NAVIGATORE CERCHI 18" AMG AUDIO 20 CD E BLUETOOTH MIRROR PACKAGE (specchi retrattili) KEY LESS START (accensione senza chiave) SEDILI ANTERIORI RISCALDABILI SISTEMA ABBAGLIANTI ADATTIVI SCHERMO RADIO 8 POLLICCI IMPIATO TERGIVETRO TERMICO SPEGNIMENTO AUTOMATICO AIRBAG PASSEGGERO DYNAMIC SELECT LA VETTURA VIENE CONSEGNATA CON IL TAGLIANDO ESEGUITO UFFICIALE MERCEDES-BENZ. Mercedes-Benz A 200 d Automatic Premium AMG LINE "VERA OCCASIONE"
VETTURA REALMENTE DISPONOBILE PRESSO LA NOSTRA SEDE, PER INFORMAZIONI: tel. 0296789048 Sito web: www.grecostarservice.it NESSUN OBBLIGO DI FINANZIAMENTO IL PREZZO DELLA VETTURA ESPOSTO E' REALE, SI DEVONO SOLO AGGIUNGERE LE SPESE DI IMMATRICOLAZIONE. (EURO 800) POSSIBILITA' DI ESTENSIONE GARANZIA FINO A 48 MESI UFFICIALE MERCEDES-BENZ. Principali Accessori: CAMBIO AUTOMATICO 7G-TRONIK NAVIGAZIONE PREMIUM PACKET SCHERMO QUADRO DIGITALE SCHERMO RADIO 10" PARKING PILOT FARI LED HIGHT PERFORMANCE SEDILI ANTERIORI RISCALDABILI SISTEMA ABBAGLIANTI ADATTIVI IMPIATO TERGIVETRO TERMICO ACCENSIONE SENZA CHIAVE PACK LUCI ABITACOLO DYNAMIC SELECT LUCI AUTUMATICHE TOUCHPAD TEMPOMAT SENSORE PIOGGIA PACK CONFORT LA VETTURA VIENE CONSEGNATA CON IL TAGLAINDO ESEGUITO UFFICIALE MERCEDES-BENZ. Mercedes-Benz A 200 d Premium MOTORSPORT AMG. TETTO APRIBILE. VETTURA MOTORSPORT EDITION AMG !!! Classe A versione Motorsport Edition, edizione limitata.In vero stile Motorsport con incisivi dettagli di design color verde petrolio come sulle monoposto di Formula 1 Mercedes-AMG e dotata di cerchi in lega AMG dal design specifico, verniciati in nero con bordo del cerchio verde petrolio. Costruita per essere in pole position. POSSIBILITA' DI AVERE LA VETTURA CON LE PINZE ROSSE VERSIONE AMG. POSSIBILITA' DI ESTENSIONE GARANZIA UFFICIALE MERCEDES-BENZ FINO A 48 MESI. LA VCETTURA VIENE CONSEGNATA CON IL TAGLIANDO ESEGUITO UFFICIALE MERCEDES-BENZ. VETTURA REALMENTE DISPONOBILE PRESSO LA NOSTRA SEDE, PER INFORMAZIONI: tel. 0296789048 Sito web: www.grecostarservice.it NESSUN OBBLIGO DI FINANZIAMENTO IL PREZZO DELLA VETTURA ESPOSTO E' REALE, SI DEVONO SOLO AGGIUNGERE LE SPESE DI IMMATRICOLAZIONE. (EURO 800) POSSIBILITA' DI ESTENSIONE GARANZIA FINO A 48 MESI UFFICIALE MERCEDES-BENZ. 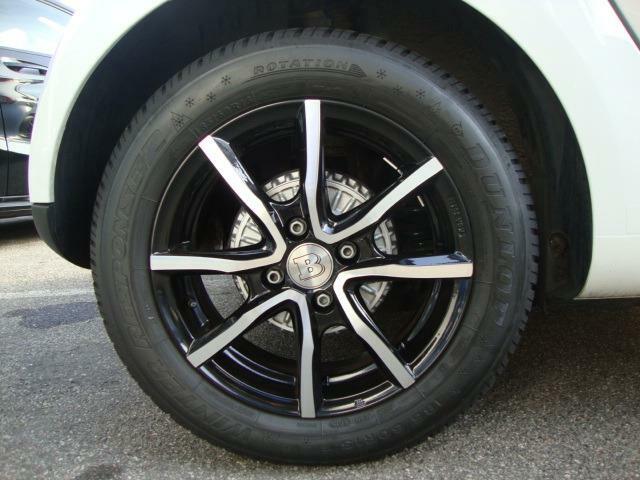 Principali Accessori: CERCHI 18" MULTIRAZZE BLACK/MIRROR CAMBIO AUTOMATICO 7G-TRONIK NAVIGAZIONE PREMIUM PACKET SCHERMO QUADRO DIGITALE SCHERMO RADIO 10" PARKING PILOT FARI LED HIGHT PERFORMANCE SEDILI ANTERIORI RISCALDABILI SISTEMA ABBAGLIANTI ADATTIVI IMPIATO TERGIVETRO TERMICO ACCENSIONE SENZA CHIAVE PACK LUCI ABITACOLO DYNAMIC SELECT LUCI AUTUMATICHE TOUCHPAD TEMPOMAT SENSORE PIOGGIA PACK CONFORT LA VETTURA VIENE CONSEGNATA CON IL TAGLAINDO ESEGUITO UFFICIALE MERCEDES-BENZ. 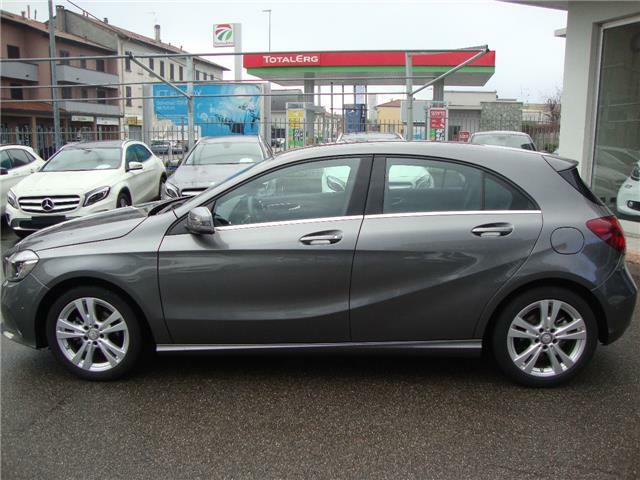 Mercedes-Benz A 200 Automatic Sport CERCHI 18"/NAVI DIGITALE/FULL!!! 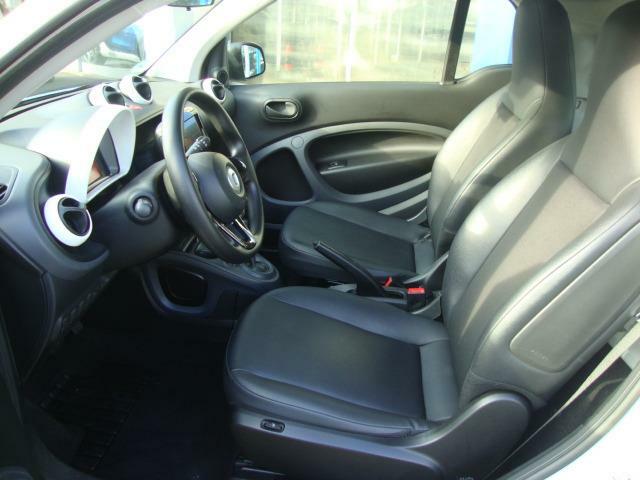 Mercedes-Benz A 250 Automatic Premium AMG LINE TETTO/CERCHI 19"/FULL!! VETTURA REALMENTE DISPONOBILE PRESSO LA NOSTRA SEDE, PER INFORMAZIONI: tel. 0296789048 Sito web: www.grecostarservice.it NESSUN OBBLIGO DI FINANZIAMENTO IL PREZZO DELLA VETTURA ESPOSTO E' REALE, SI DEVONO SOLO AGGIUNGERE LE SPESE DI IMMATRICOLAZIONE. ( 900,00 euro) POSSIBILITA' DI ESTENSIONE GARANZIA FINO A 48 MESI UFFICIALE MERCEDES-BENZ. Accessori: CAMBIO AUTOMATICO 7G-TRONIK AMG LINE CERCHI 19" AMG MULTIRAZZE SCHERMO DIGITALE QUADRO STRUMENTI SCHERMO RADIO 10,25" DISPLAY SU PLANCIA COMPLETAMENTE DIGITALE NAVIGATORE PARKING PILOT SEDILI ANTERIORI RISCALDABILI TETTO APRIBILE PANORAMICO FARI LED HIGHT PERFORMANCE KEY LESS START (accensione senza chiave) SEDILI SPORTIVI AMG PNEUMATICO ANTISCOPPIO SISTEMA ABBAGLIANTI ADATTIVI IMPIANTO TERGIVETRO TERMICO CERCHI 18" AMG DYNAMIC SELECT LA VETTURA VIENE CONSEGNATA CON IL TAGLIANDO ESEGUITO UFFICIALE MERCEDES-BENZ. 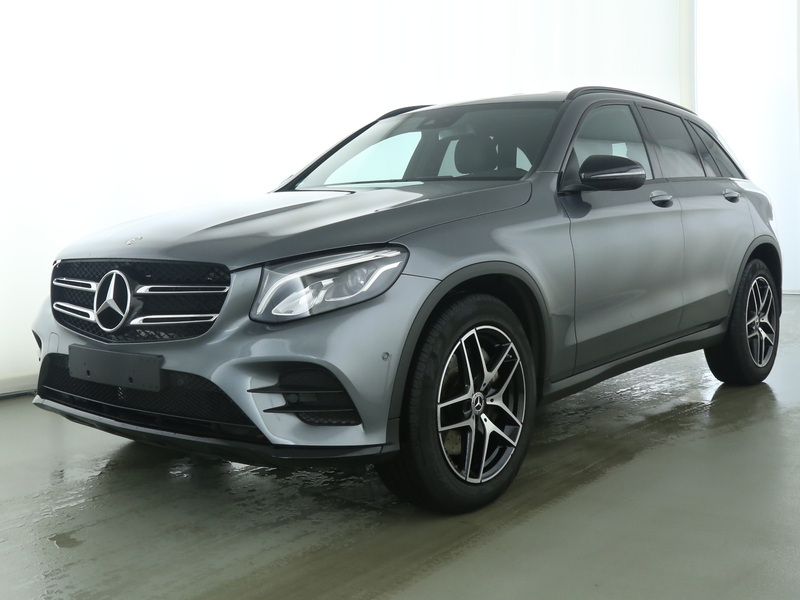 Mercedes-Benz GLC 220 d 4Matic Premium AMG LINE FULL-OPTIONAL!!! VETTURA REALMENTE DISPONOBILE, PER INFORMAZIONI: tel. 0296789048 Sito web: www.grecostarservice.it NESSUN OBBLIGO DI FINANZIAMENTO IL PREZZO DELLA VETTURA ESPOSTO E' REALE, SI DEVONO SOLO AGGIUNGERE LE SPESE DI IMMATRICOLAZIONE. (Euro 900,00) POSSIBILITA' DI ESTENSIONE GARANZIA FINO A 48 MESI UFFICAILE MERCEDES-BENZ. Accessori: AMG LINE ESTERNI AMG INTERNI AMG PACK NIGHT CERCHI 19" AMG NERI/DIAMANTATI VETRI OSCURATI FARI LED HIGHT PERFORMANCE PARKING PILOT (sensori parcheggio + parcheggio automatico) NAVIGATORE PORTELLONE POSTERIORE ELETTRICO MIRROR PACKAGE (specchi retrattili e antiabbaglianti) SEDILI ANTERIORI RISCALDABILI PACK CONFORT SISTEMA ABBAGLIANTI ADATTIVI PACK OGGETTI IMPIANTO TERGIVETRO TERMICO COPERTURA BAGAGLIAIO EASY PACK SERBATOIO CARBURANTE MAGGIORATO SERBATOIO AD-BLUE MAGGIORATO KEY LESS START (accensione senza chiave) DYNAMIC SELECT (modalita' di guida cambio automatico) LA VETTURA VIENE CONSEGNATA CON IL TAGLIANDO ESEGUITO UFFICIALE MERCEDES-BENZ. Mercedes-Benz E 220 d 4Matic Premium AMG TETTO/TELECAMERA/LED/FULL!!! VETTURA REALMENTE DISPONOBILE, PER INFORMAZIONI: tel. 0296789048 Sito web: www.grecostarservice.it NESSUN OBBLIGO DI FINANZIAMENTO IL PREZZO DELLA VETTURA ESPOSTO E' REALE, SI DEVONO SOLO AGGIUNGERE LE SPESE DI IMMATRICOLAZIONE. (900,00 euro) POSSIBILITA' DI ESTENSIONE GARANZIA FINO A 48 MESI UFFICIALE MERCEDES-BENZ. Accessori: MERCEDES-BENZ AMG EXTERIOR MERCEDES-BENZ AMG INTERIOR COMAND ONLINE PACCHETTO DI SISTEMI ASSISTENZA GUIDA PLUS DISTRONIK PLUS DRIVE PILOT TETTO APRIBILE PANORAMICO MULTIBEAM LED PACCHETTO PARCHEGGIO PARKING PILOT TELECAMERA POSTERIORE MIRROR PACKAGE (vetri posteriori oscurati) SEDILI ANTERIORI RISCALADABILI MAGIC VISION CONTROL RISCALDATO (lavavetro e parabrezza riscaldato) PACK OGGETTI SERBATOIO CARBURANTE MAGGIORATO SERBATOIO AD-BLUE MAGGIORATE CERCHI 19" AMG GRIGIO/DIAMANTATI AMG DYNAMIC SELECT LA VETTURA VIENE CONSEGNATA CON IL TAGLAINDO ESEGUITO UFFICIALE MERCEDES-BENZ.